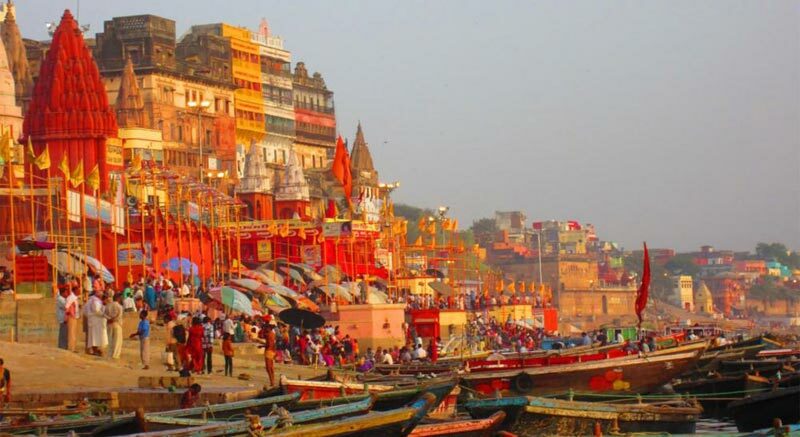 Embark on this Golden Triangle Tours and experience the best of North India in merely a week. 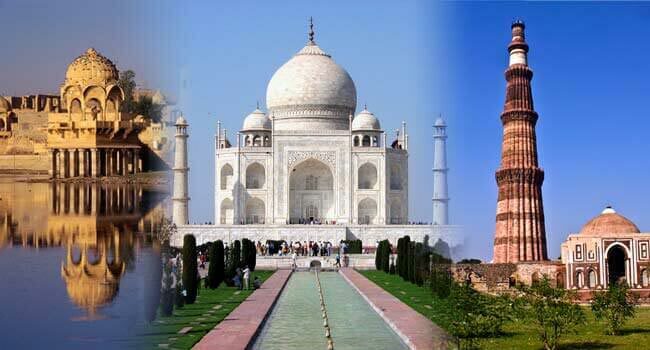 The tour will take your to historic and most kaleidoscopic cities of New Delhi, Jaipur and Agra. The package includes stay at hotels, guided tours and entry fees to monuments and buildings. On arrival at New Delhi International Airport, a representative from Our Company greets and transfers you to the pre-booked hotel. Change, wash and relax. Enjoy welcome dinner. 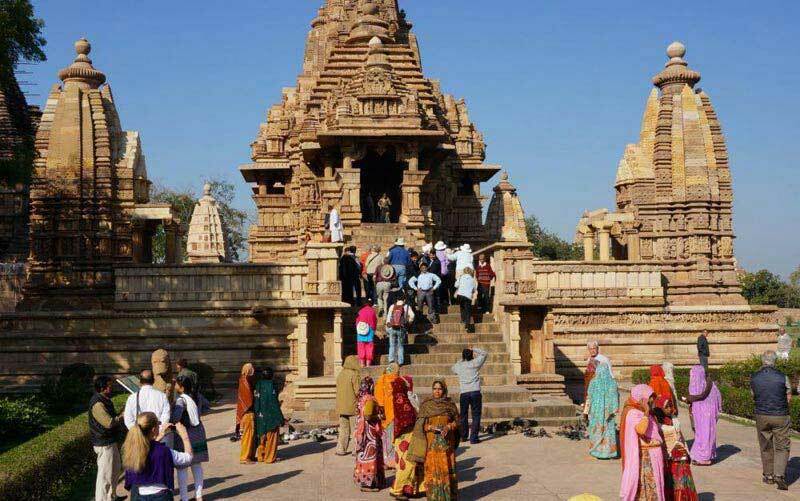 You will be given once again tour details of golden triangle tours. Stay overnight at the hotel. Have a very hearty breakfast at the hotel. After breakfast proceed to sightseeing tour of Delhi. 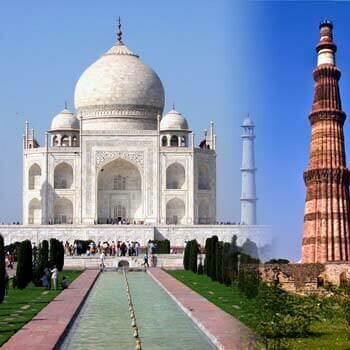 Visit the historical monuments and important tourist places of Delhi in the forms of Red Fort, Jama Masjid, Humayun's Tomb, Rajghat, Chandani Chowk, Qutub Minar, India Gate, President House, Parliament House, Birla Temple, Lotus Temple, Akshardham Temple, etc. Enjoy dinner and stay overnight at the hotel. After hearty breakfast at the hotel, drive to Jaipur - the capital of Rajasthan and famously known as the Pink City of India. On arrival at Jaipur, Our representative transfers you to the hotel. Change, wash and relax at the hotel. Spend rest of the day at leisure. In the evening stroll in the colorful bustling bazaars of Jaipur City. Enjoy dinner and stay overnight at the hotel. Have a very hearty breakfast at the hotel. 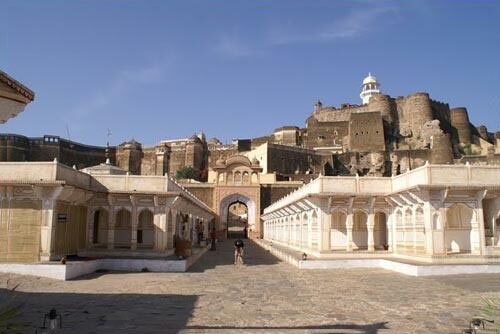 Visit the magnificent Amber Fort located at a hilltop in the outskirts of Jaipur. Enjoy elephant ride to ascend the Amber Fort Complex. Visit the Sheesh Mahal or the Hall of Victory glittering with mirrors. In the afternoon, take Jaipur City tour visiting major tourist places like City Palace, Hawa Mahal, Jantar Mantar, Birla Temple, Govind Dev Ji Temple, Nahargarh Fort, Jaigarh Fort, Jal Mahal, etc. Dinner and overnight stay will be at the hotel. After very hearty breakfast at the hotel drive to Agra visiting en route Fatehpur Sikri. 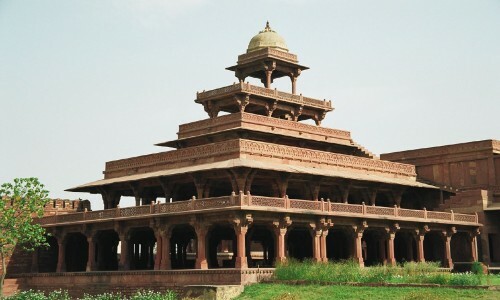 Visit the famous Buland Darwaza and the Panch Mahal at Fatehpur Sikri. You will also see here Jama Masjid and Tomb of Salim Chisti here. 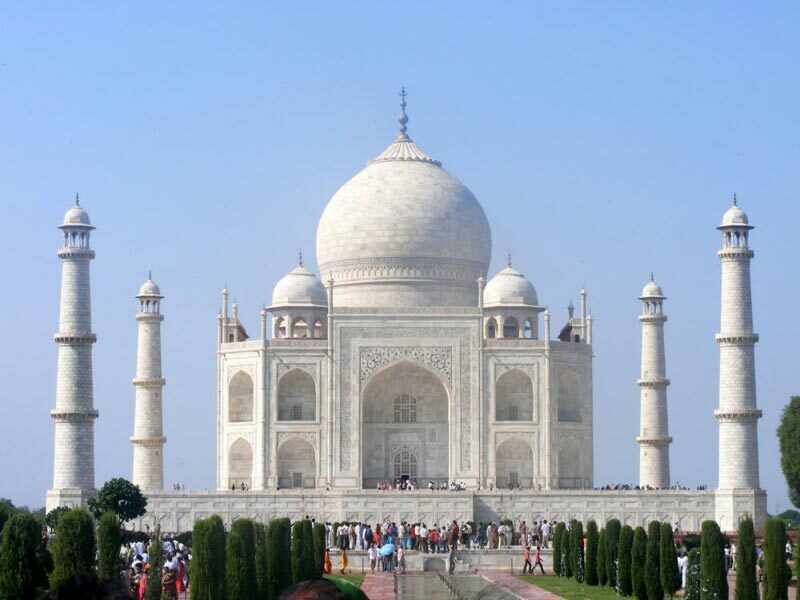 On arrival at Agra, Our representative transfers you to the hotel. Freshen up and relax at the hotel. In the evening visit the magnificent Taj Mahal (one of Seven Wonders of the World) at sunset. Dinner and overnight stay will be at the hotel. In the morning visit the Taj Mahal once again. 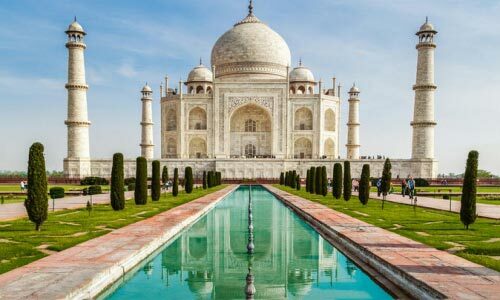 It is the ultimate symbol of eternal love composed in pure white marble by Emperor Shah Jahan in the loving memory of his beloved wife Mumtaz Mahal. See the awe-inspiring beauty of Taj Mahal at sunrise. Later visit the splendid mughal citadel - Agra Red Fort built in red sandstone by Emperor Akbar. Also visit the beautiful Tomb of Itmad-Ud-Daullah built by Mughal Empress Noor Jahan in the dedication of her father. Later drive back to Delhi. On arrival at Delhi, Our representative transfers you to the New Delhi International Airport in time to board fight to home/onward destination.